Sayan is a unique brand of premium chaga products. Our website offers exclusive, in-depth, scientifically backed information about chaga mushrooms, adaptogens, and medicinal mushrooms. The sources of this information come from more than 10 years of personal experience with chaga by the company’s founder, a medical doctor. We are happy to share our knowledge about the health benefits of this marvelous mushroom with a worldwide audience. Sayan has been actively involved in developing new chaga-based products with the leading manufacturer of herbal and mushroom extracts in Russia. Since our educational information is presented on the basis of long-term relationships with Russian biologists, as well as Korean and Japanese scientists, you won’t find this valuable information about chaga anywhere else. Sometimes called the “King of Herbs” and the “Gift from God,” chaga is one of the most widely used dietary supplements today. From ancient Russians to today’s sophisticated healthcare consumers, Siberian Chaga has been promoting enhanced health of the body for everyone hoping for overall good health. Once reserved for people living in the very cold, frigid mountains of Siberia, you can now buy chaga mushroom for use in the comfort of your own home. The recent interest in Siberian Chaga medicinal mushroom has made it one of the most popular dietary supplements available on the market today. And now a wide variety of Sayan Health mushroom products are available to nearly everyone who wants to lead a healthier life. Chaga (Inonotus obliquus), a fungus from the Hymenochaetaceae family, is a mushroom that grows on the outside of birch trees. 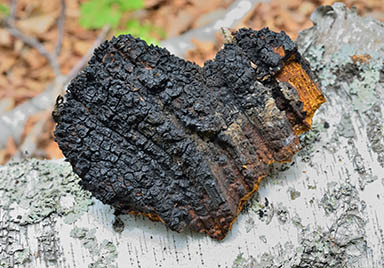 Chaga mushroom is a dense, black mass that looks like burnt charcoal. This black mass, sometimes called clinker polypore, cinder conk, or birch canker polypore, has a hard, black crust that closely resembles a tumor. The average chaga mushroom measures 25 to 40 cm, which is about 9 to 15 inches, but can be as large as 1.5 meters. The weight depends on the age and size, and can reach 20 kg or more. Well-developed chaga mushrooms usually emerge on trees older than 40 years, but the fungal infection starts much earlier. It takes about 20 years for chaga to kill a tree, depending on the number of infection sites and the tree’s natural resistance to disease. Fortunately, the chaga mushroom is ready to be harvested 3 to 5 years after it erupts through the bark of the tree. Harvesting the mushroom does not kill the tree or the mushroom. Both keep growing at the same rate as before. The chaga mushroom can be harvested every 3 to 10 years, until the tree dies. HOW DO CHAGA MUSHROOMS GROW? 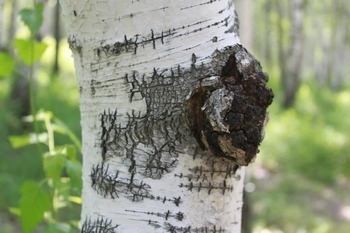 Chaga is a parasitic fungus, and it lives thanks to the useful components available in the birch tree. By the time it matures, it accumulates a very high concentration of biologically active substances that are useful to the human body, supporting the immune system and promoting healing and rejuvenation of the entire body on a cellular level. 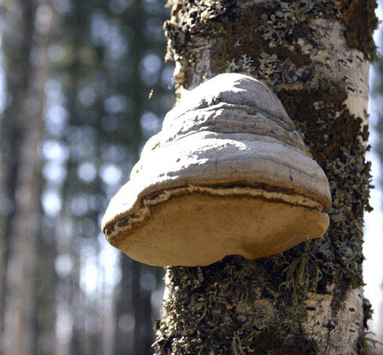 * The chaga mushroom body that grows on the birch tree has no spores (seeds). 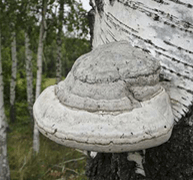 The major concentration of spores matures in the birch tree trunk underneath the bark, appearing near the chaga buildup when the tree begins to die. When this happens, chaga spores begin to spread and disperse through the air. In addition to spreading through the air, spore-loving insects, such as beetles and flies, carry chaga spores into trees through areas in the bark that have been damaged and exposed by frost or broken branches. 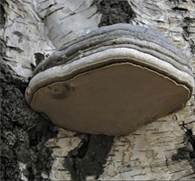 When the spores infiltrate the bark of a new birch tree host, they form mycelium, which eventually destroys the bark of the tree. An outgrowth appears, and new chaga begins to grow. 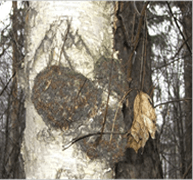 Each chaga life cycle begins with chaga spores penetrating into the heart of the living birch tree through areas of the bark damaged by frost-cleft or broken branches. The spores sprout, forming mycelium, and begin using the birch tree juice. Mycelium threads penetrate into the trunk, gradually destroying it and causing the white heart to break down. At the same time, under the bark (in the places of initial penetration by the spores), a fruiting body is formed, producing basidiospores, or reproductive spores. In the 4th year, the mycelium emerges and begins to develop a fruitless mycelium, forming a crust of slow-growing, shapeless, black growths. These are the first traces of what we call chaga. Over the next several years, a massive chaga buildup appears on the stem. The birch will try to battle it in the course of its life, but the tree usually doesn’t win the fight. Chaga will live on this birch tree for up to 20 years or more, or until the tree dies. Chaga mushroom is a type of fungus. There are many varieties of fungi, including molds, crusts, and more developed fungi that have a stalk and cap. Unlike plants, fungi do not contact chlorophyll, which enables plants to capture the sun’s energy to produce sugar. Fungi must absorb food from their environment. Mushrooms are usually comprised of a mycelium underground, and an edible portion with a stem and cap above the ground, the reproductive organ. But chaga mushroom is different from the typical forest mushroom. What one piece of fresh cut chaga looks like, without cutting the yellowish, soft part of the mushroom, shown on the on the right. 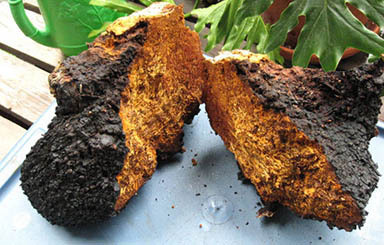 Chaga mushroom has three main layers, each differing in density and color. Click the figure on the right to see the layers. The hard, cracked, outer layer of real chaga, called the sclerotium (ST in foreign literature), is always black. In the U.S., this is often referred to as the “black crust.” The sclerotium is the hardest, densest layer, where the greatest concentration of biologically active substances is found. The next layer is a solid but less dense dark brown layer, called the fruiting body (FB). It’s also strongly saturated with useful substances. It is known that up to 80% of chaga mineral components are concentrated in the first two layers, the sclerotium and fruiting body. Our chaga extract and tea are made entirely from the first and second layers of the chaga mushroom. We do not use the third layer, since it contains almost no nutrients and is of little use; therefore, our chaga products are of the highest quality, with the highest concentration of biologically active substances. The third layer is the inside of the mushroom directly adjacent to the tree trunk. It is light brown or even yellowish in color, sometimes with white veins, and somewhat granular in appearance. It is loose, porous, and smooth, comprising the bulk of the mushroom, but offering no beneficial components. Chaga mushroom prefers very cold habitats. It grows almost exclusively on birch and beech trees, but it can also form on alder, chestnut, and hornbeam trees. This is an important fact, since only chaga mushroom that grows on the birch tree has healing properties. And only chaga harvested from a living, wild birch tree provides health benefits. During the course of maturation, the chaga mushroom accumulates a high concentration of biologically active substances that are beneficial to human health. The primary active substances are chromogens (polyphenol pigments), polyphenols, hydroxyphenyl carboxylic acids, and quinones. 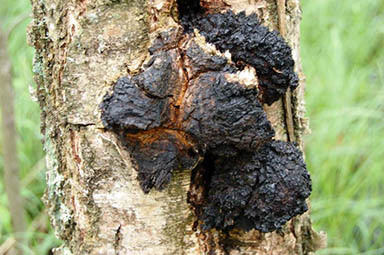 Chaga is the only mushroom that has chromogenic complex. These complex chromogens aren’t present in any other mushrooms and plants, and that’s what makes chaga mushroom unique. Some manufacturers grow chaga artificially, cultivating it by fermentation, using mycelium of the chaga mushroom, placing it on top of rice, for example, and growing it. By definition, this is not chaga. They are growing only the fruiting body of the mushroom. 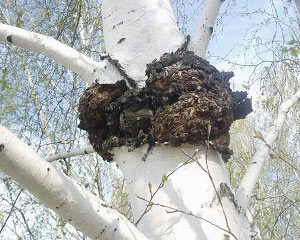 It’s not possible for artificial chaga to contain the beneficial substances that are only present in the birch tree. 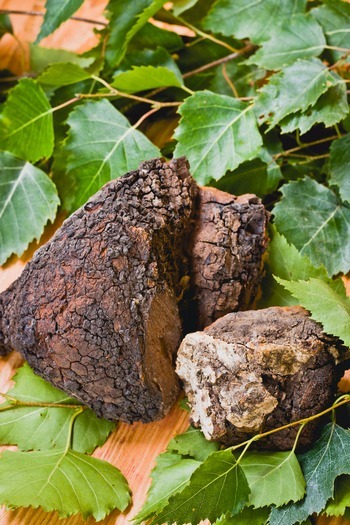 Wild chaga consists of three layers that are formed over the years by the passage of biologically active substances together with the juice from the stem of birch tree to the chaga. During the entire period of mushroom development, they accumulate in the outer and middle layers of the chaga. Artificially grown chaga has only one layer, so it has only those substances that it can draw from whatever it is grown on. Siberian Chaga accumulates these precious substances for years from its mother, the birch tree, so only such chaga has health-supporting benefits. This is why manufacturers of artificial chaga don’t write about chromogenic complex – because artificial chaga simply doesn’t have it. 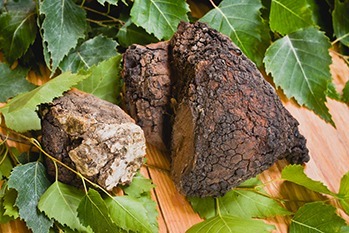 WHAT KIND OF CHAGA IS BENEFICIAL TO HEALTH? It grew on a wild birch tree, ideally in extremely cold weather, with temperatures down to minus 40 degrees Celsius or Fahrenheit. It came from a living tree at least 10 years old, and the chaga mushroom itself is at least 5 years old. It grew far from large cities and industrial areas, at least 2 meters from the ground. it contains more tar and mineral micronutrients. It was very firm to the touch and could only be cut with an ax. It had no mushroom smell, just a slight forest scent. After harvesting, it needs to be dried in a special furnace with automatic temperature control. Once it has been dried, it’s stored in a dry, well-ventilated place at a temperature less than 25 degrees Celsius. Quality standards for chaga mushroom that offers health benefits are very high, and Sayan Health only produces chaga dietary supplements and teas of the finest and premium quality. Our products offer the highest level of health-supporting components as well. WHY IS SIBERIAN CHAGA THE BEST? First of all, the content of bioactive substances in chaga gathered from different regions varies. Chaga that grows in Siberia and especially in the northern Irkutsk Region and Khakassia contains the greatest amount of antioxidants. This is due, mainly, to the cold climate of Siberia and the purity of the air. 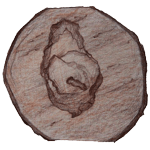 Secondary chaga metabolites (most of the elements with therapeutic effect) are developed as a defensive reaction to the dangers of the environment and the threat to the birch tree’s protective system, on which chaga grows. The more severe the climate is, the stronger the chaga becomes. That’s why cultivated, cultured chaga has no therapeutic value, because this chaga has grown on rice or on a different basis. Secondly, what is especially important in chaga is its ecological purity – that is, the absence of radioactive substances, various chemical contaminants, heavy metals, etc. 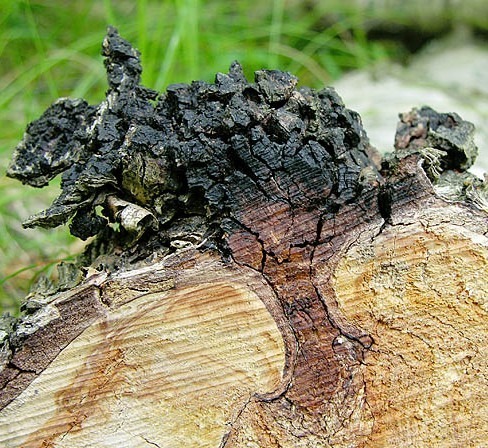 Chaga absorbs any contamination from the environment like a sponge. Therefore, it’s very important to collect chaga in remote areas, far from large settlements and even farther away from any industrial enterprises. Our chaga is collected in ecologically clean regions of Siberia, no closer than 200–300 km from major cities. All our chaga passes radiation and phytosanitary control tests. Some chaga manufacturers or private sellers who are going into the woods on their own, harvesting chaga, and then offering it for sale do not have the proper knowledge of which chaga mushrooms to harvest. So they harvest and sell mushrooms that they label as chaga, but that might not be chaga, or might be low-quality chaga. Though it’s easy to distinguish chaga from other mushrooms and growth, a person with no experience could have a problem identifying chaga. At the entrance to the forest, if you look closely, you can see how many different mushrooms are growing on trees. The most common mistakes inexperienced chaga harvesters make is harvesting false chaga or gathering the wrong kinds of mushrooms – polyphore mushrooms instead of chaga. One of the other common mistakes of manufacturers is not processing and drying chaga properly. An experienced chaga harvester has no problem identifying chaga in the forest. But others could have a hard time distinguishing chaga from other mushrooms growing on birch trees. Here are several mushrooms that could be harvested by mistake, or falsely identified as a chaga mushroom: Polypore (family Polyporaceae) can be easily identified by their typically hard outer surface, “non-mushroom” shape, and their growth on wood. Polypores can often be seen on a birch tree. A polypore is shaped like a hoof, and the surface is flat from below and convex on top. It has a pleasant mushroom smell. Two polypores which could be mistaken for chaga mushroom are Phellinus igniarius and Fomes fomentarius. Phellinus igniarius – Common names for this mushroom are: Willow bracket and Fire sponge. These mushrooms are usually large and hoof-shaped, ranging in color from gray to black, and typically brown. Fomes fomentarius – Common name for this mushroom are tinder fungus, false tinder fungus, hoof fungus, tinder conk. This fungus appears in woody, hoof- or disc-shaped formations, but is usually lighter in color than chaga. Gnarl – Sometimes call suvel in Russia. From a distance, gnarl looks like chaga, but if you look closely, you can see that these are small bundles of shoots, twigs, and sometimes even leaves. Suvel is not a mushroom, but a tree trunk outgrowth. Burl –Sometimes call suvel in Russia. From a distance, gnarl looks like chaga, but if you look closely, you can see that these are small bundles of shoots, twigs, and sometimes even leaves. Suvel is not a mushroom, but a tree trunk outgrowth. Chaga is the only birch tree mushroom that offers any health benefits, so it’s important to harvest only real chaga mushroom. While you could gather chaga in the forest yourself, it’s easier, safer, and cheaper to order from a knowledgeable, quality source like Sayan. Our chaga products are produced using only wild-harvested Siberian Chaga, which has the highest concentration of active ingredients of all chaga mushrooms. You can find plenty of chaga products available on the market today, from different parts of the world. The question is: how can you identify quality product and avoid buying products that offer low health benefits? Whether you choose Chinese, Canadian, American, or Siberian Chaga products, you need to be aware of a few things. Some chaga products might be sold in packages that picture mushrooms other than chaga. This is an indication that the manufacturer didn’t even bother to take a picture of the real chaga for the packaging. Many companies sell “chaga tea” – finely ground, dried raw chaga in bulk or in filter bags. 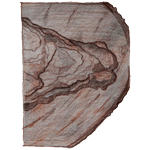 You can determine the chaga quality by looking at the finely ground chaga pieces: first, by color, and second, by texture, especially of pieces larger than 5mm. As we mentioned above, the maximum content of chaga’s nutrients is concentrated in just the two outer layers, which are very dark and solid. 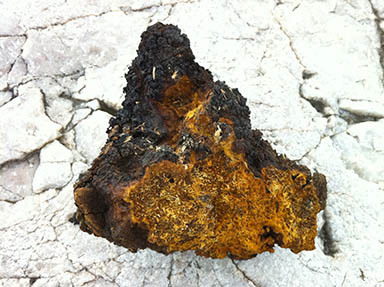 The third yellowish layer, soft and porous, is virtually useless – so quality chaga tea should not contain this layer. The small chaga pieces in the tea should be visible and can be felt by touching. These pieces should be dark in color and firm in texture. Chaga tea made out of raw product shouldn’t be in the form of powder. Some manufacturers use the third layer, grinding chaga entirely, in the hope that the buyer doesn’t know about tea composition. Other manufacturers may use chaga that remained after the extraction process, selling chaga that has almost no value and no beneficial ingredients left. We should mention that chaga tea made from residues which remained after the extraction process will be somewhat beneficial, but very low-quality, since the majority of the beneficial ingredients were already extracted. The quality of chaga products you buy is very important. Sayan Health offers only premium natural chaga products. For example, our tea is not just crushed chaga. We also enrich it with chaga extract so that our customers are able to get the maximum benefits, as combining chaga with its extract enhances the effectiveness of the tea. If you have questions about chaga, we would be happy to answer them. Just give us a call or send us an e-mail. Chaga tea is a beverage made using the dried and ground flakes of the chaga mushroom. And while mushrooms may not top your list of superfoods, the chaga mushroom has become an unlikely source of health benefits. The chaga is one of the most well-known mushrooms in the natural world, and some people even call it a “Gift from God”. 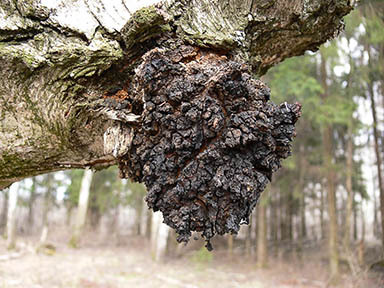 Chaga has been consumed for centuries, particularly in Russia and Asia. 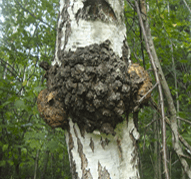 Chaga mushrooms grow on the bark of birch trees that have been infected with chaga spores. It is then ground into a powder or chunks and used in teas, creams, extracts, capsules and more. There are numerous ways to get chaga into the body, but drinking it as a tea is by far the most popular, and delicious method. How Does Chaga Mushroom Tea Taste? If you’ve never had a mushroom tea before, you may be worried about the flavor. The taste of chaga tea is gentle, with a hint of nuttiness and vanilla. Also, chaga mushrooms have a very mild flavor compared to other fungus and pair nicely with other natural flavors. 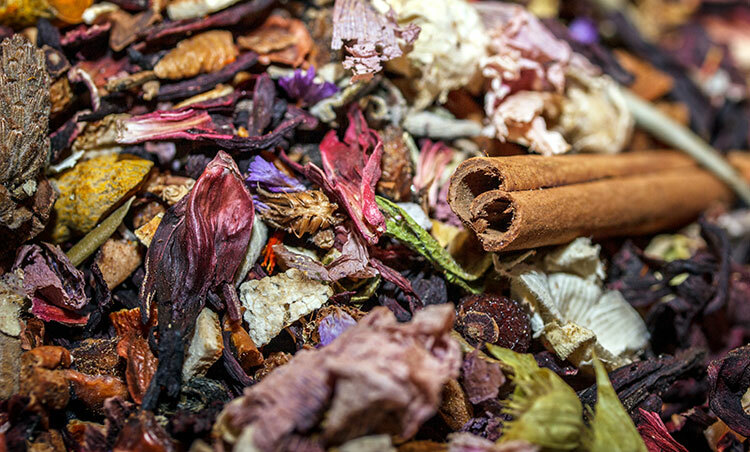 Sayan offers loose tea with six different flavors. Other manufacturer’s chaga teas include vanilla because the two go so well together. Different varieties of tea or herbs may add different ingredients to improve the taste. Chaga mushroom tea may be drunk hot or cold. 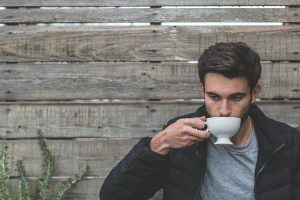 If you find the flavor to be desirable, dried chaga mushrooms may be added to other drinks as well, such as smoothies, shakes, and even coffee. If you’ve never tried chaga tea, now is the time. The healthful beverage is readily available online and in stores throughout the world. So pick some up today and discover for yourself what chaga tea really tastes like. *These statements have not been evaluated by the FDA, this product does not intend to diagnose, treat, cure, or prevent any diseases.